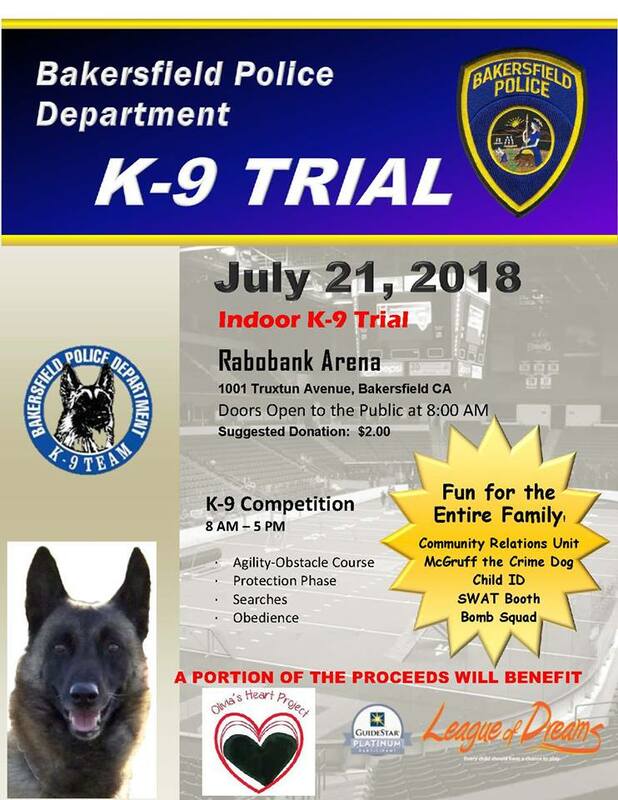 Olivia’s Heart Project has partnered with the Bakersfield Police Department to promote the K-9 Trials occurring in July. Please show your support for Olivia’s Heart Project and the Bakersfield Police Department by attending. Thank you! Working together, we will Keep Young Hearts Beating!